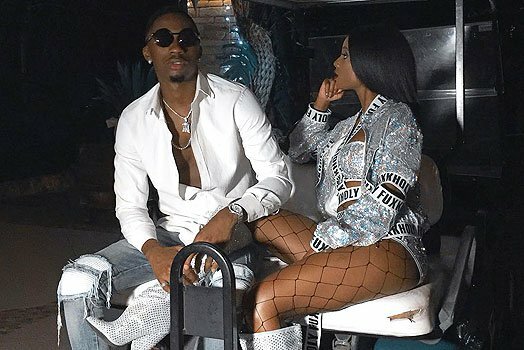 Tanzanian songbird Vanessa Mdee, who also got featured in our very own Tay Grin’s “Tola” song is in hot soup after she recently kissed her boyfriend on stage while performing. The singer and her boyfriend who also sings by the name Juma Jux got back together early this year after breaking up for six months. Vanessa Mdee and his musician boyfriend Juma Jux kiss on stage. Vanessa and Jux recently embarked on their ‘In Love and Money Tour’ across Tanzania and have been filling venues to the brim. While on tour, the couple decided to spice things up on stage and President John Magufuli government’s is not impressed. 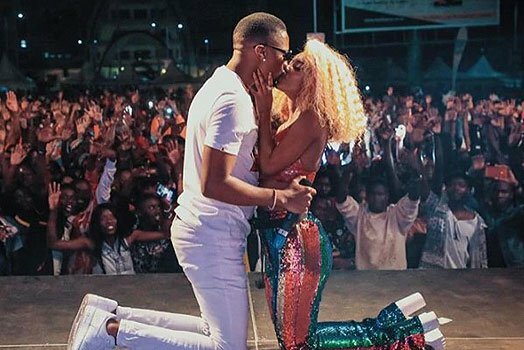 While on stage performing, Jux and Vanessa knelt down and kissed passionately as the crowd gave a deafening cheer. The couple then posted a picture of the kiss on social media, breaching strict regulations passed by the government that banned posting of cozy photos online. While majority of fans gave positive comments on social media, Tanzania Communication Regulatory (Basata) went hard on them. According to Basata’s Chief Executive Godfry Mngereza, the picture was provocative and hence they will not turn a blind eye. Meanwhile, this publication will keep you updated with follow up development.